Brave New World | two men enter . . . 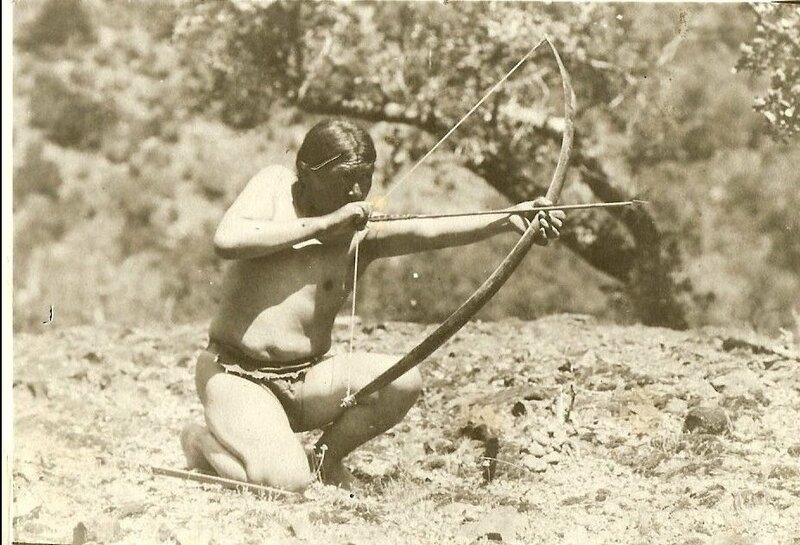 I led off my last post with a photo of Ishi, perhaps the last surviving member of the Yahi tribe, and the caption “Ishi, the last of the Yahi. His story is not identical to John’s in Brave New World.” While this framing makes perfect sense to me, and I did so with some hope of people actually looking him up, I feel like I should explain briefly before finishing the second post (on Brave New World). What follows are some brief, deliberately provocative, and unfinished ideas about Ishi’s legacy. Ishi’s story is sad and horrific, and I won’t try to fully summarize it here. Everyone who is remotely well-read should be familiar with it. I’ll even use the second person address here since I feel so strongly: You should begin with the obvious online sources (this timeline is also a good summary) and then you need to read Theodora Kroeber’s book Ishi in Two Worlds. Then maybe Ishi in Three Centuries or Wild Men: Ishi and Kroeber in the Wilderness of Modern America. Theodora Kroeber is, incidentally, Ursula K. Le Guin’s mother. Le Guin’s father, anthropologist Alfred Kroeber, was one of the scientists who had the opportunity to work most closely with Ishi. Arthur’s relationship with Ishi, like that of all those who studied the “wild Indian” is one that can easily be criticized in hindsight, and I won’t defend the exhibitionism and exploitativeness of anthropological science at the time. However, the Kroebers’ interactions with and documentation of his story are invaluable documentation of a remarkable man and an awful, yet common, story.